In a darkly beautiful land thick with wooded areas, cobblestone streets, and castles the mystery and magic of Romania remains. This is a land of ancient castles, and medieval churches. One can spend their days hiking around the watch towers of the Black church and then take in a riveting organ performance that will rattle your core. One can also travel to Bram’s Castle, but if you say Dracula’s the directions will be the same. If that castle is a little too dark for your taste, the Royal summer residence of Peles Castle in Sanaia is a welcome reprieve with its light hearted mountain village setting and resort amenities. There are also beautiful Romanian Balls to behold, as well as rejuvenating thermal waters in which to relax. Maybe this is how Dracula lured his dinner! Romania has experienced a tumultuous past. Communist occupation by the USSR began in 1947 and continued late into the 1950s. At which time Romania’s natural resources were continually drained for exploratory efforts. The communist era of Romania was an especially dark time for its citizens. All food stuffs were exported in an effort to eliminate the mounting foreign debt, and “enemies of the state” were tortured and killed regularly. One particularly inventive form of torture inflicted upon thousands of Romanians was to expose them to low levels of radiation to induce rare forms of cancer. The fall of communist Russia in 1989 may have made larger headlines, but the same outcome in Romania was by far more brutal. Romania’s then leader Nicolae Ceausescu was killed in the fall of the communist regime, as well as an estimated 2 million other Romanians. The rebuilding of Romania as a democratic nation has been a very slow process. Romania was only entered in the European Union in 2007. Distrust has scared the people and change has been slow to come, but the pulsating people of Romanians are once again displaying their traditional customs while also embracing modern democracy. Cities such as Brasov (pronounced brash-of) have become quite metropolitan: complete with internet cafes, great shopping and delicious food amid a charming medieval town center. Brasov is an example of how Romanians are incorporating democracy and commerce into their old world surroundings, which have made it a unique and picturesque destination. The silver lining of Romania’s checked past is the food, which is the result of several occupations. The sheer number of cultures found in the land now called Romania is astounding (and delicious). Turks, Hungarians, Austrians, Poles, Russians, as well as the Romans and other Latin influences have all shaped the gastronomic adventure of Romania. McDonalds made its way in after the fall of the wall, but do not waste your time eating the familiar, traditional dishes are a must! The Romanian flag is characterized by three colors, meant to represent “Liberty, Justice, and Fraternity” Interesting, that a country that represents its self as a tri-fecta of good feelings would be the home of an entire culture of second class citizens. Originally, Roma peoples were brought from India in the 13th century as slave laborers, and have been settling in Romania since the early 15th century. There are currently over 40 clans of Roma, each with their own traditional clothing, customs, and superstitions. While the Roma have long been established in Romania, they have yet to be recognized by the government as legitimate citizens, and are refused land ownership, birth certificates, identification papers, or legal identity papers of any kind. This of course presents a plethora of problems for the Roma. It makes it difficult to enter the job market, as well as hard to receive unemployment benefits. 80% of Roma in Romania live in abject poverty, earning less than $2.15 a day. The national discrimination of the Roma has made even attending school too hazardous and emotionally disturbing as the taunts and abuse are widespread. Globe Aware works to improve the conditions of the Roma people by reducing poverty and discrimination through educational opportunities as well building homes for the Roma families. 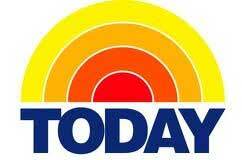 Globe Aware featured on on NBC Today Show! What began as a 1 week project has morphed into a year round process of planning and execution. We have had so much support from our adopted Peruvian ‘family’ in Cusco, and this project could never have gotten off the ground without the tireless effort of our Globe Aware coordinator and dear friend, Rocio Enriquez. For our family, helping people IS having fun!!! Our Community Pages include a forum to share experiences, stories, photos and videos, ask questions, get answers, or simply tell everyone how excited you are about your trip. 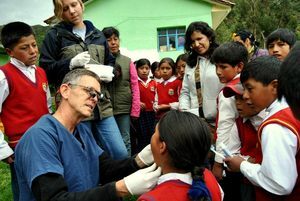 The volunteer vacation and Globe Aware experience is a rich and fulfilling event. No need to keep it all to yourself. This is why we have created this social media, and conversational hub. Whether you are just beginning to consider a trip, about to go on your next volunteer vacation, or just want to have some fun interacting with other international volunteers, we’ve got you covered. Travel the World in your Pijamas! Globe Aware has joined Pintrest! Globe Aware has recently joined the online pinboard Pintrest. We are sharing beautiful photos for our volunteers past, present and future to add to their own boards. Globe Aware trips are perfect additions to your travel boards, wish list, or bucket list boards. Follow us today! See what other volunteers have experienced: the change they have made in communities as well as the breathtaking beauty of the destination. Yay! We've had two volunteers so far and we're having lots of fun in our "Volunteer of the Year Program, you know you can participate on our facebook page CLICK HERE . Thanks so much to our wonderful volunteers who have agreed to participate in this fun and exciting program. We're posting four posts a month for each volunteer. So, look for the posts on Mondays and vote often. Just make sure you put your comments and shares, along with your likes, on a post we have put up. No separate posts of your own please. Use the link below, "Like" our page, find the posts for the volunteers, and VOTE! More than anything, we want to honor our volunteers, to have fun, and we want our facebook community members to become aware of each other. We don't have the lawyers and accountants the Oscar's use to pull off an air-tight campaign so please just have fun and play fair. Global Gourmet – Sarmale- You will gladly eat this cabbage! Place rice in a medium bowl, and pour boiling water over it. Let soak for 15 minutes, then drain. Heat 2 tablespoons of oil in a large skillet over medium-high heat. Add the carrots, parsley roots, onions and tomato paste. Cook and stir until the vegetables are tender. Transfer the vegetables to the bowl with the rice. Heat 2 more tablespoons of oil in the same skillet over medium-high heat. Add the pork, and cook for about 2 minutes, just until browned on the outside. Transfer to the bowl with the rice and vegetables; season with dill and black pepper. Stir until everything is well blended. Set the mixture aside to cool. Carefully remove the leaves from the head of cabbage, and place them in a large pot with about 2 inches of water. Bring to a boil, and cook for 5 to 10 minutes, until tender and flexible. Remove the cabbage leaves from the pot, but leave enough in the bottom to cover. On each of the remaining leaves, place about 2 tablespoons of the pork and rice mixture in the center, and wrap the leaf around to cover. Place the stuffed cabbage leaves into the pot. When the pot is full, place a few boiled cabbage leaves over the top. Pour boiling water into the pot to cover the cabbage rolls, and place over medium-low heat. Cover, and simmer for about 30 minutes, until the rice is tender. "Friend" Globe Aware on Facebook and Follow Us on Twitter! 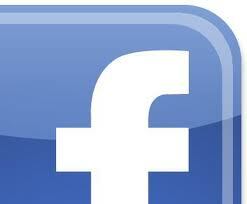 Globe Aware is on Facebook and we are also on Twitter and we would love it if you were to join us! Please become our friend on Facebook and follow Globe Aware on Twitter. Stay up-to-date with the latest news and the best bits about our many volunteer vacation destination, trips and volunteers. And after you've friended us, please feel free to write on our wall, leave us a comment, share a picture of yourself and invite your other friends to join us as well! Please add us, follow us and help us give a little back to the many communities around the world. Call our offices Toll Free 877-LUV-GLOBE (877-588-4562) or 214-206-1421 or email for more information.